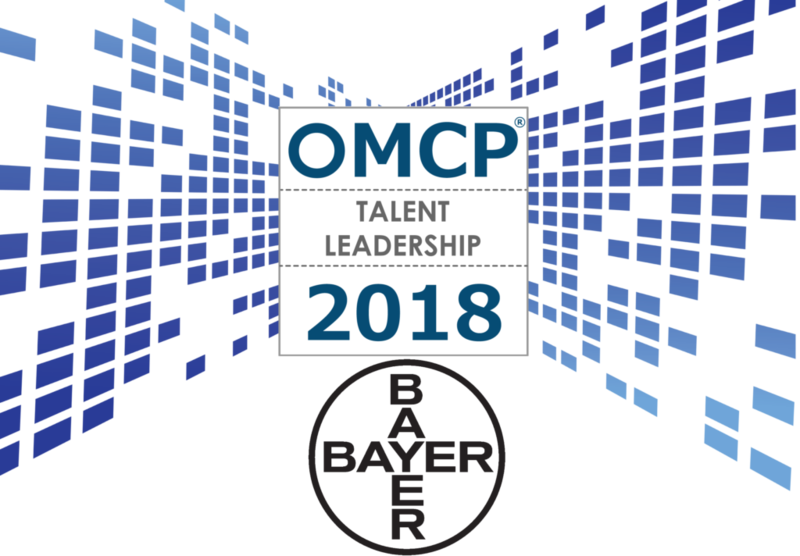 The OMCP 2018 Talent leadership Award for Digital Marketing Course Completion Rates goes to Bayer. Life sciences giant Bayer has done plenty of digital marketing trainings, but none have been quite like the latest engagement which included matchmaking, reverse mentoring, game shows, and a bespoke blend of on-ground training and digital online courses. The results were impressive: 82% of Bayer’s 1,100 member team, including the marketing team, all management, and core partners from other functions in the company, completed the program with 15 lessons on average in 8 months. Roughly ⅓ of all participants completed 20 or more lessons, setting a new benchmark for Bayer and for the digital training industry. OMCP’s Michael Stebbins interviewed Bayer’s Global Digital Acceleration Manager, Ekaterina Kharitonova (Katya), and Associate Director of Global Digital Communications, Ashleyanne van Detjen (Ash) to learn how the program achieved its success. OMCP: Katya, could you describe what your role is, Ash, yours? Katya: My role is a digital acceleration manager, I’m a part of the global digital team. And the project manager for the broader team responsible for the success of the Digital IQ program. Ash: I am responsible for global digital communications at Bayer Consumer Health. I’m also the communications business partner for the Digital Excellence team, which is how Katya and I started working together. I ensure our digital communications are on message, on brand, audience specific, so we can clearly see the value and results from our work. And together we find and create opportunities to bring her program’s messaging to life. OMCP: Who else was involved in the program? So aside from actively participating himself through the training program, and reverse mentoring, Dirk also set up and sponsored the EMEA digital community. Having a community like this was very helpful and contributed to driving local success across many countries. And we capitalized on the enthusiasm like Dirk’s, and engaged management at every opportunity to create videos, host inspirational talks, and explain why the program is important and relevant. OMCP: So, the two areas where your program stood out was the volume of staff trained at 1,100 and then 82% core lessons completion. Ash: The results are really quite fantastic! In all, over 14,000 lessons were completed by Bayer participants in 42 markets. Quite diverse. So, when we are talking about engaging a global community, we needed flexibility, agility and a formula that would fit multiple locations, environments, and learning styles. OMCP: Tell us a little bit more about the program itself. What was in the program? What was some of the content and what were the goals from inside the program? 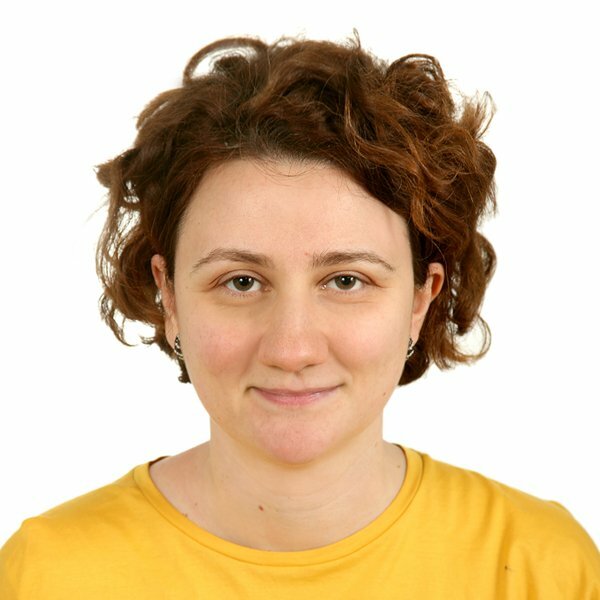 Katya: When I joined the global team in September 2017, the training vendor (Circus Street) was already on the table, and they were about to launch. I thought a lot about ways to learn and understand digital. Since it’s a rapidly-changing world, I was interested in a template that avoided “frightening” Bayer people away with a new and extensive digital skillset-to-learn, and instead would provoke their interest in learning – inspire them, connect training with implementation, and eventually empower them with new found digital confidence that they know how to handle the topics they were learning more about. I was also determined to innovate Bayer’s educational approach, and came up with an idea for the program during my own learning journey – in the so-called Digital Fellowship Center (the program was five months of online Google Squared learning and a month in New York). During my month in New York in an acceleration boot camp, I was able to fine-tune my ideas, plan for the launch and build the acceleration portion of the upcoming program. I had the whole month free of routine tasks to design the approach, and this period was quite inspiring for me! I guess that is why I use this word “inspiration” so often. It is one of the best ways to provoke interest in learning organically. And an approach that was picked up in countries so well. One of those countries, that really took off with their adoption of the program was the Middle East. Piyal Bhoora, who goes by Pi and is Digital Manager for this country knew what we were up against in her market. She became one of our most vocal advocates. Pi (via remote): It’s true. Digital has always been somewhat of an uncomfortable subject for most traditional functions to talk about. That was why I was passionate about taking up the task to try and demystify it. We are living in the Digital era, where the norm is that an average person spends close to 7 hours a day on digital devices, owns more than an average of two connected devices, where kids learn to skip YouTube ads before they can even talk! This is why, we as a company, have to get the language of digital right from the start. 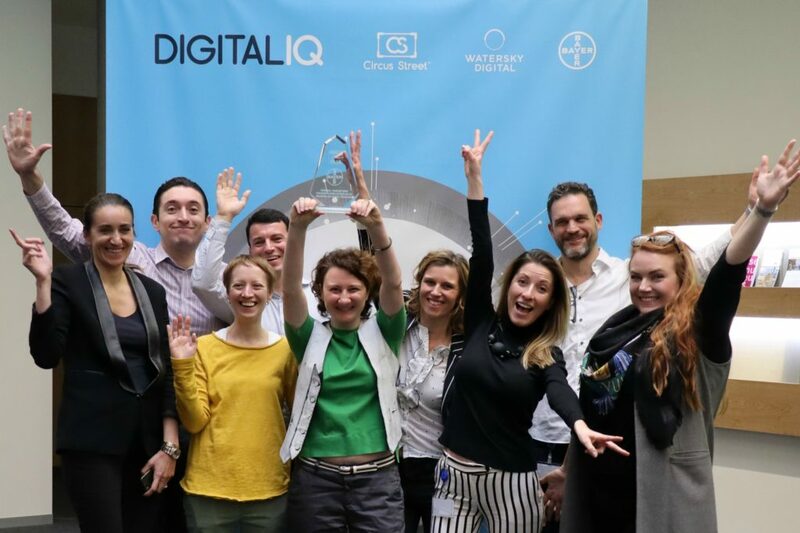 The Digital IQ program has helped me and my colleagues feel empowered and get it right to build on our processes and possess the right knowledge because the process of digital transformation starts with people and not tech. Katya: Using our partner Circus Street’s platform, we were able to bring training out from the traditional training environment into a new more modern one. Our people loved watching the shorter interactive videos. Despite intensive curriculum for the first year which focused on upskilling knowledge and creating a common language, as Pi mentioned, people continued to commit to our training program. However, it wasn’t just online learning that made this program so successful. Another major component of was triggering inspiration in action. We hosted regular complementary events with external speakers followed by local lunch and learns, digital breakfasts and hands-on opportunities. OMCP: And when you say hands-on, what did that look like? Katya: We partnered with a small company who helped us create tailor-made training modules to build further on Circus Street lessons and link theoretical part to Bayer strategy and ways of working. For example, the topic of Search was broken down to several steps. First, the theory – why it’s important, how to do it properly and measure it effectively. Then there were tasks also broken into small actionable steps – doing keyword research, writing text, assessing the content, measuring it. And the atmosphere on these training is great – a very good combination of productivity and also a lot of fun. OMCP: Are you able to share who that company is? Katya: The company name is Watersky, they sit in Hamburg. OMCP: Any other outside resources that you brought in? Ash: We brought in external speakers. We had five external speaker events that have had more than 2,000 live viewers. OMCP: And this is in webinar style or on-site, or both? Ash: Both. As global company, we know we need to offer both to engage as many people as we can. OMCP: Okay. How did you choose your speakers? 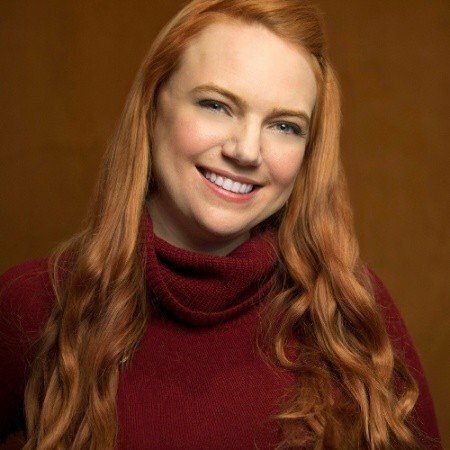 Katya: I wanted to mirror the online training curriculum while promoting upcoming topics and to have external experts bring in a unique industry perspective in house and provide another flashpoint of inspirational content. I connected to our agencies, got some help from London Speaking Bureau, and also used personal contacts – during my career, I’ve met plenty of amazing speakers. Second, beyond bring in speakers, we also wanted to motivate people into practicing their learning – to commit to it in real-time. So we created opportunities for colleagues to meet and learn from each other, and that included getting senior people on board too by leveraging reverse mentoring. OMCP: And when you say reverse mentoring, what does that look like? Katya: Reverse Mentoring preexisted at Bayer; however, we wanted to put our own spin on it so we invited our senior people to participate and pick their topics of interest – digital, technology, new ways of working. Then we matched mentees and mentors based on the field of knowledgeable experts within the company. We also tried to match them geographically, however remote sessions worked very well, too. OMCP: And what does the communication look like? Who is mentoring who? Katya: The digital folks are mentoring senior people on topics of digital and technology. OMCP: Does this look like a meeting, like a once a week? What are the mechanics of it? Ash: Reverse Mentoring is fundamentally built on trust. I think a good case study is Katya’s work with one of the executive committee members. They meet in person and at their first meeting, he raised digital topics that he is interested in learning more about – so its driven based on his interests. OMCP: Speaking of executive support, tell us a little bit about how you got support for the program, especially in the face of some exits and entries of executive management? Katya: Digital has been a hot topic in Bayer for quite some time, and executive management team naturally supported and sponsored the program from the very beginning, and even became involved in the learning process themselves. This first-hand experience and personal engagement from management teams was very important driver for other people. Additionally we leveraged their interest and inspired a bit of healthy competition between them too. Every two weeks I sent out the completion report and status update. Everybody could see where a specific market was, so everybody was curious who would be on top. Our management was reviewing those reports as well. OMCP: What was in the report? Katya: The report was usually split by regions, and then by countries and showed the completion rates and scores ‘before’ and ‘post-training’. There was a one-page executive summary for leadership team and a list of top performers in every report. OMCP: What was your economic and access model to the training? Katya: We targeted to cover 100% of marketers, 100% of digital managers and 100% of management. And we also created limited seats to other functions who often have “digital” components to their jobs: sales, legal, HR, IT, procurement, research, and others. We ended up with 1,100 people on the list. And then designed a tailor-made curriculum for each of them, based on the role. The budget was covered centrally. OMCP: You’ve mentioned that you had some celebrations. You had good support. Anything else that you could add that helped the program reach such high numbers? Using a variety of digital facts we tested knowledge bases, learned a few things, and had fun along the way too. At the end, we gave cupcakes with digital and social media logos to the winners, which didn’t hurt either. People were very interested after the quiz to increase their level of Digital IQ and this helped us further promote the program in-house. Katya: As Pi’s example shows, to engage such a large group of people, we had to be creative and come up with an approach that would differentiate the program. Ash came up with the digibytes (Digital Bytes), for instance. When launching each phase, she would create some interesting tip to hook interest. These digibytes shared the same fun, gamification, feel found in the Circus Street training modules. Ash: Yes, the digibytes were a bit of spontaneous fun we embedded into our communication approach. It was a good combo of fun and leadership sponsorship that helped us reached our outstanding results. We also used personalized communications that were not typical “corporate communications” feeling and instead we played with the energy that circulates within a digital community already. We, took that, and it gave a modern feel in our communication. And we didn’t just do it for one platform, or one channel either. We diversified our channel strategy. We used email, Microsoft Teams (like the MS version of Slack) our intranet, video, in house digital screens, webcasts, webinars, and word of mouth, and a few others. But really, it was an entire ecosystem that was built from our communications planning that helped us personalize our messaging to our diversified audiences. OMCP: Are you willing to share a few of the things that went wrong and what challenges you ran into? Katya: There was a very common issue of time-management, and we tried to be very mindful of people’s time and how much of it they can dedicate to learning. But on the other hand, we wanted to move fast. Even if we were super picky on the topics, learners still ended up with at least six lessons, which we decided to lock into two-month phases. And we had four of such phases. Another challenge, which I know many companies are facing, is to make the bridge from learning into practice. It’s not an easy one, and it’s a part of a bigger goal – creating such a mindset in the whole organization. Now, we are tweaking the approach since our initial learning intensity isn’t sustainable forever. Our participants need to focus on their priorities and start learning in the context of their job. Pi: I agree. The biggest challenge was to ask people for their time. We ensured that we gave this platform the importance it deserves by allocating specific days to be cleared of all emails and meetings to just focus on learning. OMCP: So, managers would tell staff, “Take these four hours and shut off your email and study,” and then they would trust them to use that time? Katya: It was the case in Middle-East, yes. And it worked very well for them. Pi: The plan was to get all functions thinking differently and reassessing how we think about Digital, the different channels and platforms that are available and when, why, how are they used and the importance of each. The outcome for the Middle East was a much higher level of conversations surrounding digital, which eventually led to our activated media P&I being 100% digital. Ash: I also agree. The ‘time ask’ from people, and every time you reach out to them on any channel, whether that’s through email or something else, you run the risk of over-communicating or worse missing an opportunity with your message. So, it’s a fine line of getting the right message at the right time, but also understanding the diversity of the markets and the full reach of this program. Everybody’s on their own unique path, right? And that’s the beauty and the challenge at the same time. Katya: In the geographies where we didn’t trigger this ambassadorship with the local teams, we saw quite big gaps in results. We could easily see this on the results map, and it was a good proof of how important the role of the local ambassador is. Ash: I think the maturity of the market in the adoption process of this program was a strong indicator of its success. With the US being quite advanced, perhaps some of the coursework wasn’t at a level where they could turn around and immediately implement it. Whereas we have case studies from less-mature markets, where they were able to take their training, apply what they learned, and turn around and implement it within three months. Creating a real-time success story in their market. Katya: Ah yes! A great example of that is from Argentinian marketing team, who picked up the learning from Circus Street and implemented it straight-away into one campaign. They completely changed the whole design of the digital campaign, its evaluation, and created several digital assets: series of interactive videos, assets for Spotify, etc. This is ultimately what we wanted to achieve – empowering people with digital knowledge. ….we put a spin on it that matched or mimicked something that was smaller, and tailored it to the audience. OMCP: Now, earlier, we saw that there were some very good results beyond just a common language where teams were doing the right digital practices, and they were doing them more efficiently. Were there any other outcomes that measured the success of the program? Ash: Right now, you have to consider, we are a massive life science company. When you are so big, acting more entrepreneurial, behaving more digitally, creating these modern digital opportunities for people who feel empowered to react to these fast moving components is part of our transformational imperative.We need to advance our digital capabilities. And I think that’s another part of why this program was successful, because we put a spin on it that matched or mimicked something that was smaller, more tailored it to the audience. And, isn’t that the way that the way the whole industry is moving in the future? OMCP: Which is how we’re supposed to do marketing, right? Ash: I also think having the courage to do a program like this is a positive outcome. Going back to this concept we started with – having a shared language – when you’re talking to so many, it’s the language that brings you together, that takes a certain courage to talk about something that’s bigger, faster moving than what you were probably doing. Finally, to acknowledge the fact that you are, perhaps, behind is a big deal, especially in a digital environment. However, being behind doesn’t have to be written into our story permanently. There are many stories out there of innovative thinking turning into successes – like this Digital IQ story – so I’m optimistic for our digital transformation. We can make it happen! OMCP: I know that you are in so many geographies; oftentimes, training programs struggle because you might have a Yandex or Baidu influence somewhere else or a different search landscape> How did you address that, or did you choose to? Katya: We had to choose our battles. China, for example, is very unique as a market and we felt like Circus Street was not really covering their needs. And we didn’t roll the program out there. The concepts covered in Circus Street are quite universal, but sometimes slight adjustments might be needed. This is why countries held all those local lunch-and-learns, where people could bring their agency-partners in and say “Now that we’ve learned this – what it means for our brands, our consumers?” This is how you make sense of the whole learning process as a team. OMCP: What would some of your advice be for somebody just starting out to do what you’re doing? Katya: The main thing for me is the human approach. Treat people with respect and understanding of why they’re doing what they’re doing and how comfortable they will be with what you are proposing. “Humanize” their experience. I think, acknowledging this is very important, letting your people know that you’re here to help. Therefore, mandating and pushing for numbers doesn’t seem like a good idea to me. We tried to make learning contextual, and it worked very well. Also, it is very important to get senior management on board and partner with the communications team to ensure your message and audiences are well matched. The first thing that I did – and I would do again if I were to start from scratch – was reaching out to local digital leads. I had a certain advantage because I was leading the EMEA digital community before getting to a global role – people already knew me, they were open to my ideas. That actually helped a lot – their openness and support made me stop second-guessing myself. I remember the time when I was thinking about launching this whole program. I felt so small sitting here in Basel and I kept asking myself everyday – how do I even start? I became much more confident after talking with people and gaining their trust. And digital leads have been real promoters of the program in their home countries. Ash: As I’ve said, across the whole organization, not just in Consumer Health, we are undergoing a significant digital transformation. There were points when I think we questioned if we were following and taking the right approach, or if what we were doing was adding value. But we pushed through – so I would also recommended finding a source of sustainable energy. Surround yourself with people who share your passion, your interest, your energy levels, who are willing to go the extra mile because they believe in the power digital transformation can make. I think Dirk is a great example of that, and Pi is a great example of that. And Katya is our biggest cheerleader right here. It is her energy and enthusiasm that helped sustain this entire program for a solid year, and the intensity that takes is incredible. Katya: We built a very good foundation – common knowledge and excitement are already there. Finally people really appreciate recognition for their efforts. So we created individual certificates together with Circus Street and send those out to everyone who successfully completed over 20 lessons. Pi came up with a brilliant idea to do a Digital Ninja award. We designed Digital Ninja Belts for all markets who completed 100% by the early-bird deadline, and I am now producing stickers for those belts, so that people can proudly put them on their laptops. Ash: To say “I’m a digital ambassador for Bayer” is a badge of honor. Getting a personalized certificate, who doesn’t love that? It’s something so simple and so easy to reproduce and to send to the various different countries. That was an easy win. 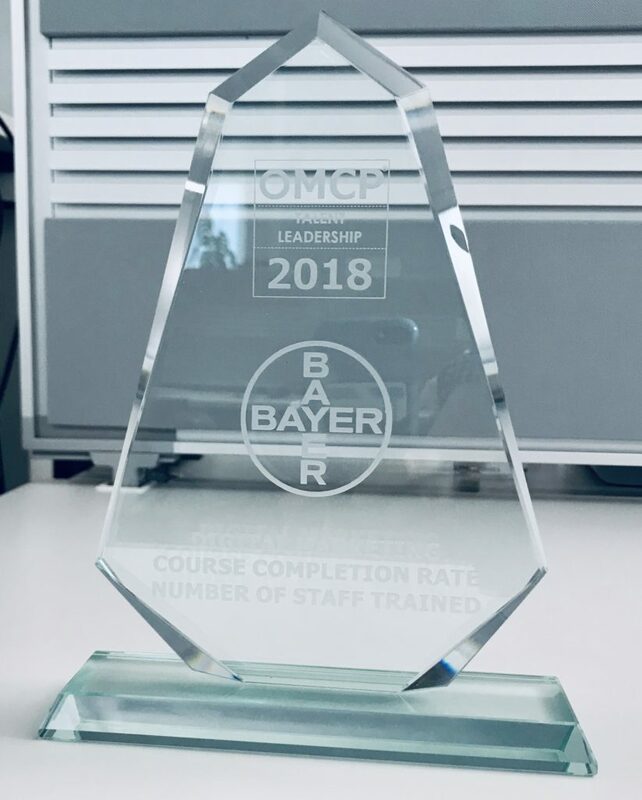 OMCP: Congratulations to you all and to Bayer for having a program that stands out for incredible volume of people trained and phenomenal course completion rates on that. You should be proud and this is well-deserved for you and the Bayer team. Katya: Thank you so much! It was a big team effort and a very keen engagement of each individual from this 1,100. We really appreciate the nomination and award.